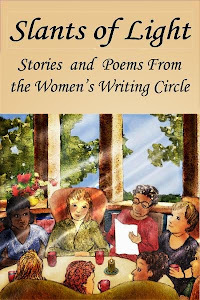 Women's Writing Circle : Mother-Daughter Memoir―Review of "Blue Nights"
Mother-Daughter Memoir―Review of "Blue Nights"
What makes a memorable memoir? 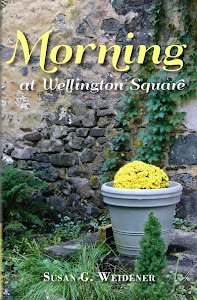 Plot, inner monologue, crazy mothers and drunken fathers? 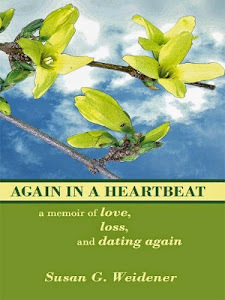 Perhaps, memoirs that most linger in a reader's memory are unflinchingly honest stories of relationships and regrets. 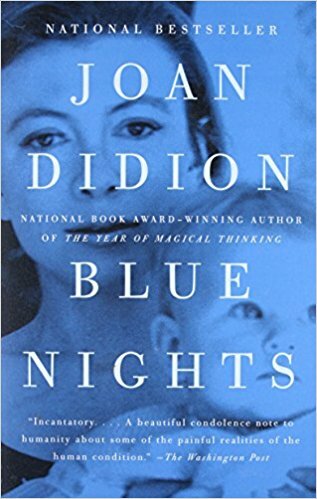 Blue Nights by Joan Didion is a meditation on grief and regret, illness and aging as told by a woman who cares little if this is a difficult read. Didion sugarcoats nothing and sentimentality has no place in her story. As she enters the twilight of her life, (Didion is eighty-two) her mastery of the genre―for which she received literary acclaim with The Year of Magical Thinking about the death of her husband, writer John Gregory Dunne―is evident. Didion early on in her career honed the art of the personal essay. The journalistic attention to detail coupled with literary flair provide a compelling narrative. 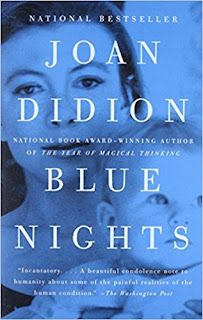 Blue Nights is dedicated to and about Quintana Roo, the daughter Didion and Dunne adopt. She died in 2005 at the age of thirty-nine. The cause of her death is never clear. “When we talk about mortality we are talking about our children,” Didion repeats throughout the memoir. 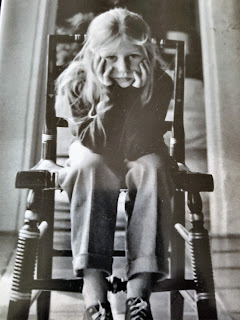 The little girl whose fear of abandonment goes undetected by Didion is the author's confession that she had scant idea what being a mother entailed, especially mother of an adopted child. This strange girl, this “beautiful baby girl” who Didion muses has bipolar disorder and drinks too much, is an enigma … do we ever really know our children, Didion wonders? So much of their life is spent separating from us, their parents. Or maybe it is just Quintana distancing herself from her mother, an acclaimed writer whose work consumes her. 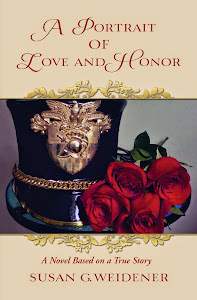 Vivid memories of a mother-daughter relationship: Quintana on her wedding day: “She wove white stephanotis into the thick braid that hung down her back; the plumeria tattoo showing through the tulle” … Didion finds herself staring at the unexpected―her daughter kneeling at the altar wearing bright red-soled high heels. This is juxtaposed with her daughter dying in the ICU. "This was never supposed to happen to her ... as if she and I had been promised a special exemption ..."
There is self-flagellation and regret. “She had no idea how much we needed her. How could we have so misunderstood one another.” Adopting a child also poses unanticipated challenges and unintended consequences. Quintana’s sister, birth mother and father seek her out when she is a grown woman, throwing Quintana into confusion and Didion into a vague terrain of surprise and acceptance, although much of this has to be inferred by the reader. If there is a failing to this memoir, we never feel the intimacy between mother and daughter … no doubt Didion loved her daughter, but moments of tenderness seem to be missing in the narrative, along with conversations of any depth between Quintana and Didion. Why? In the telling of this tragedy of her daughter's untimely death, Didion discusses her own impeding mortality … the sudden realization at the age of seventy-five that being old has descended with no warning. There is the terrible fear of losing one’s balance, the inability to gain weight when she has dropped to a precarious seventy-five pounds, the shingles brought on by too much stress as The Year of Magical Thinking is made into a Broadway production starring Vanessa Redgrave, her friend and a woman who lost her daughter―Natasha Richardson―to a tragic death. Blue nights herald the approach of summer, but also the beginning of the days becoming shorter, a gloaming into blackness, an ending. This is the life of a woman who has lost those closest to her―husband, daughter, her own mother, numerous friends―and finds herself wondering whose name to list on the emergency contact page at the hospital. I recommend this memoir to anyone who wants to read a master wordsmith in the genre … a woman whose honesty about herself is surely the essence of her strength and survival and who allows a personal story to become a universal journey of regret and untimely death.